April 20th marked one year since undersea drilling in British Petroleum’s Macondo Well resulted in the explosion of the Deepwater Horizon oil rig in the Gulf of Mexico. Almost 5 million barrels of oil gushed out into the surrounding waters, bringing devastation and singular damage to the ecological balance, marine life, and the communities in the Gulf area. One of America’s worst environmental disasters raises many questions in its wake, not just about the explosion itself and the race to plug the leaking oil well, but more importantly about larger questions on offshore oil drilling , environmental safety measures needed to prevent such disasters , restoration measures to contain the damage, and the overall US energy policy . At MCL we offer a variety of books that address such strategic issues with wide ranging implications for the future of the world’s ecosystem. 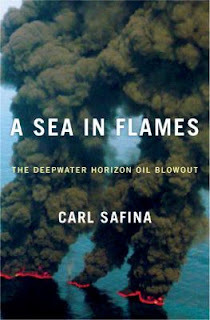 Safina, a world renowned ecologist, MacArthur Fellow as well as Pew, and Guggenheim Fellow provides a riveting account and unique perspective on the spectrum of causes that culminated in the explosion of the Deepwater Horizon oil rig on April 10 2010. It took more than eighty days for BP to plug the leak that spilled millions of barrels of oil, natural gas and other chemicals into the ocean. Safina toured the area extensively for weeks during this period and the book is a result of his research, observations and interviews with officials and local people directly affected by the disaster. Safina warns us that the overuse of fossil fuels dominant in today’s world economy is destroying the ocean and the delicate eco balance necessary to sustain life in the long run. The book focuses on the important issue of regulations and measures that must be implemented to prevent future disasters such as this from reoccurring. Freudenburg , a renowned environmentalist died shortly after this book was published – the book is a culmination of his lifetime of research, and a testimony to his dedication to use environmental science in the service of humanity. At one level, using extensive research about the oil industry, interviews and hearings on the accident, the book is an eloquent account of the accident and the complex gamut of decisions and industry regulations that led to the eventual explosion in the oil well. At a more fundamental level the book deals with the larger and worrisome issue of the global dependence on oil and the dangers of unfettered offshore drilling. The authors remind us of the finite nature of oil reserves that are rapidly depleting in the face of the relentless demand, and of the lack of any concerted efforts to come up with a viable global energy policy. A Washington Post reporter and acclaimed science writer for the National Geographic who covered the entire BP oil spill, writes this book with clarity and purpose taking readers behind the scenes to the gripping story of the engineers and scientists who raced against time in their efforts to seal the well and stop the oil from spewing forth into the surrounding ocean waters. The author does a fine job of narrating complex engineering issues and technical maneuvers that involved the use of remotely controlled vehicles to seal the mile deep oil well, into a language understandable by all. 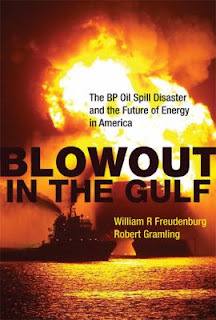 Equally fascinating is the narration of the complex interplay between Washington’s role in handling the crisis, the BP management’s response to the catastrophe, and the communities from the Gulf of Mexico facing the devastation and destruction of their livelihoods. 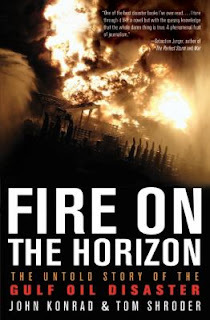 Written by a veteran oil rig captain John Konrad who pairs up with Washington Post reporter Tom Shroder to bring to the readers this compelling account of the tragic Deepwater Horizon disaster. The book is unique in its added focus on the rigors and lives of the captain, and crew members aboard Transocean’s Deepwater Horizon rig. Decisions that in effect amounted to cutting corners by BP, Halliburton and Transocean coupled by a lack of effective regulations governing the oil industry and inadequate safeguards contributed in large measure to the catastrophic explosion of the oil rig and subsequent oil spill that took several months to repair. 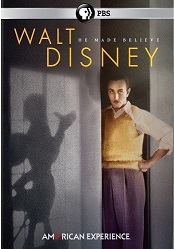 The book is a somber reflection on what is at stake in the absence of a well executed energy policy.